Directors declared a quarterly cash dividend of $0.36 per share. represents an indicated annual dividend rate of $1.44 per share. the continued growth of our company. people to support our continued growth,” Powless concluded. dividend increases. For more information about CSI, visit www.csiweb.com. services or Internet services or otherwise. PADUCAH,Ky.--(BUSINESS WIRE)--Computer Services,Inc. (CSI) (OTCQX: CSVI) announced that its Board of Directors declared a quarterly cash dividend of $0.36 per share. The dividend is payable on March 29,2019,to shareholders of record as of the close of business on March 15,2019. The quarterly dividend represents an indicated annual dividend rate of $1.44 per share. “This quarter’s dividend represents a 16.1% increase over the cash dividend paid in the same quarter last year,” stated Chairman and CEO Steven A. Powless. “CSI’s Board of Directors has increased the cash dividend paid to shareholders in each of the last 47 years,highlighting the continued growth of our company. “We believe our dividend program is an important part of building long-term shareholder value along with our stock repurchase program. We also remain focused on investing in CSI’s technology,infrastructure and people to support our continued growth,” Powless concluded. Computer Services,Inc. delivers core processing,managed services,digital banking,payments processing,print and electronic distribution,and regulatory compliance solutions to financial institutions and corporate customers across the nation. 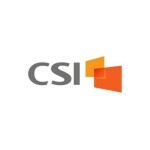 Exceptional service,dynamic solutions and superior results are the foundation of CSI’s reputation,and have resulted in the company’s inclusion in such top industry-wide rankings as the FinTech 100,Talkin’ Cloud 100 and MSPmentor Top 501 Global Managed Service Providers List. CSI’s stock is traded on OTCQX under the symbol CSVI. CSVI meets the financial media’s “Dividend Aristocrats” criterion of having 25+years of consecutive annual dividend increases. For more information about CSI,visit www.csiweb.com. This news release contains "forward-looking statements" as that term is defined in the Private Securities Litigation Reform Act of 1995. All statements except historical statements contained herein constitute “forward-looking statements.” Forward-looking statements are inherently uncertain and are based only on current expectations and assumptions that are subject to future developments that may cause results to differ materially. Readers should carefully consider:(i) economic,competitive,technological and governmental factors affecting CSI’s operations,customers,markets,services,products and prices;(ii) risk factors affecting the financial services information technology industry generally including,but not limited to,cybersecurity risks that may result in increased costs for us to protect against the risks,as well as liability or reputational damage to CSI in the event of a breach of our security;and (iii) other factors discussed in CSI's Annual Reports, Quarterly Reports, Information and Disclosure Statements and other documents posted from time to time on the OTCQX website (available at www.otcmarkets.com), including without limitation, the description of the nature of CSI's business and its management discussion and analysis of financial condition and results of operations for reported periods. Except as required by law or OTC Markets Group,Inc.,CSI undertakes no obligation to update,and is not responsible for updating,the information contained or incorporated by reference in this report beyond the publication date,whether as a result of new information or future events,or to conform this document to actual results or changes in CSI's expectations, or for changes made to this document by wire services or Internet services or otherwise.